1998 Ponsse HS16 Processor with a H73 Head. This machine has a CAT 3116 engine, runs and starts good, has been reworked, 1,300 hours on rebuilt transmission, new drive pumps, strong hydraulics, and cylinders. Tight center section, bogies are in good order, brake bands and seals all NEW. Newer front differential. 600 tires with chains, heat, A/C, and lights. H73 head, new center feed roller, others are in good working condition, strong grab arms and cylinders, measuring system is in good order. Also comes with H53 head, Ponsse just installed new feed motor, saw bearing and saw motor seal and sprocket on this head. Contact Aaron @ Red Pine Equipment 218-720-0933. Machine is located in Northcentral USA. Ponsse processing operation for sale. 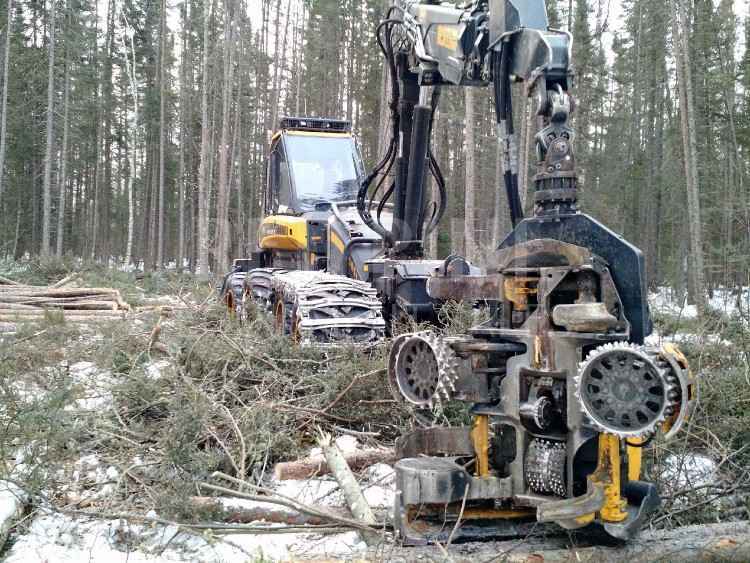 2014 Ponsse Ergo Harvester and 2015 Ponsse Buffalo 8 Wheel DB Forwarder with timber sales available as well. *2014 Ponsse Ergo Harvester has a H7 Head. 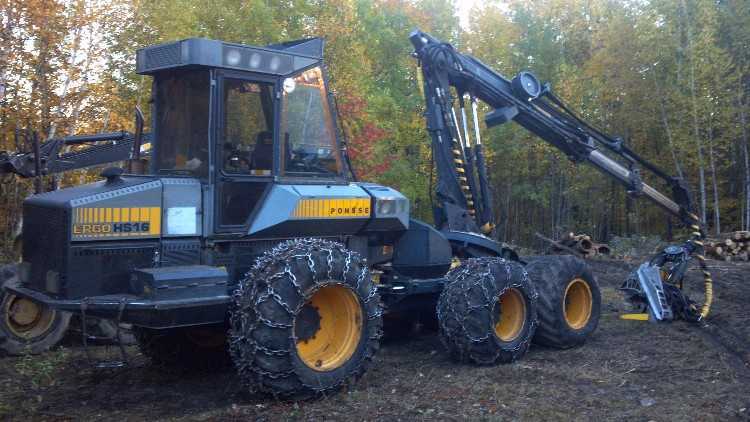 This equipment has the Mercedes Benz engine, runs and starts good, all maintenance has been done by Ponsse, 5,500 hours, Pre heater, strong hydraulics and cylinders, crane and squirt boom are in good working order, H7 head and measuring system are in good working condition, 700 tires with tracks. Heat, A/C, and lights. *2015 Buffalo 8 Wheel Forwarder. This machine has a Mercedes Benz engine, runs and starts good, all maintenance has been done by Ponsse, 5,500 hours, Pre heater, strong hydraulics and cylinders, crane and squirt boom are in good working order, K100 crane, 700 tires with tracks. Heat, A/C, and lights. Contact Aaron @ Red Pine Equipment 218-720-0933. Machines are located in Northcentral USA. 2002 Ponsse Ergo with Ponsse H73 Processing Head. Engine runs well. Machine has several cylinders, hoses and fittings leaking. 700/55-34 and 700/50-26.5 tires @ 30%. HN 125 Crane. Sheet metal fairly straight. Pins and bushings in decent condition. Machine is working and cutting wood. Contact Aaron @ Red Pine Equipment 218-720-0933. Equipment is located in Northcentral USA. 1999 Ponsse HS16 Ergo Harvester. Owner stated that this harvester has 17,500 hours on machine, CAT 3116 engine overhauled by Ponsse and Caterpillar Spring of 2012, about 1,500 hours ago, this machine has a HN125 Crane in good shape no cracks, hydraulic pumps are strong and in good shape, H73 harvesting head, heat and A/C work good, working daily. Contact Aaron @ Red Pine Equipment 218-720-0933. Machine located in Northcentral USA. 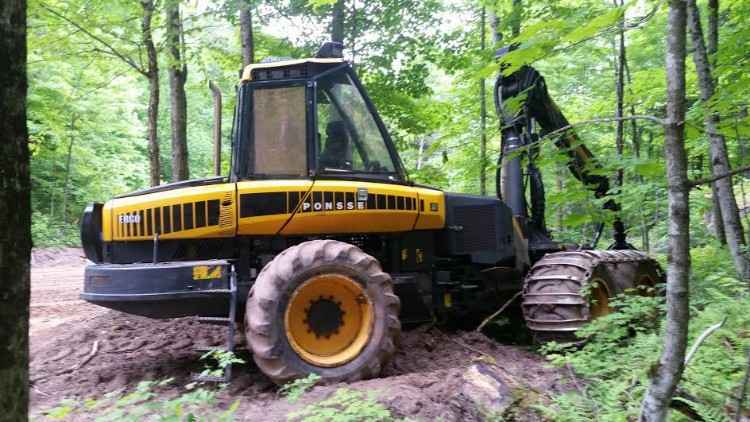 2005 Ponsse Ergo Harvester with a H73 Head. This machine has a HN125 Crane, 19,000 hours, runs and starts good, tracks are @ 60%. New CPU, wiring on boom and head replaced last year, new feed rollers & chain auto tensioner last year, leveling system redone, new module and valves, fire suppression, new measuring system, new knives last year, heat, and A/C, all lights are operable. Camo covering on sheet metal. Contact Aaron @ Red Pine Equipment 218-720-0933. Machine is located in Northcentral USA. 2005 Ponsse Ergo Processor. This machine has a Mercedes Benz engine, runs and starts good, HN125 crane 73H head, strong hydraulics and drive system, tight boom and head, grab arms are in good working order, went through measuring system a year ago, cradles and axles are in good working order, tight center section, 710 tires @ 70% with tracks, front tires are @ 60%, Wabasto pre heater, fire suppression system, heat, A/C, and lights. Contact Aaron @ Red Pine Equipment 218-720-0933. Machine is located in Northcentral USA. 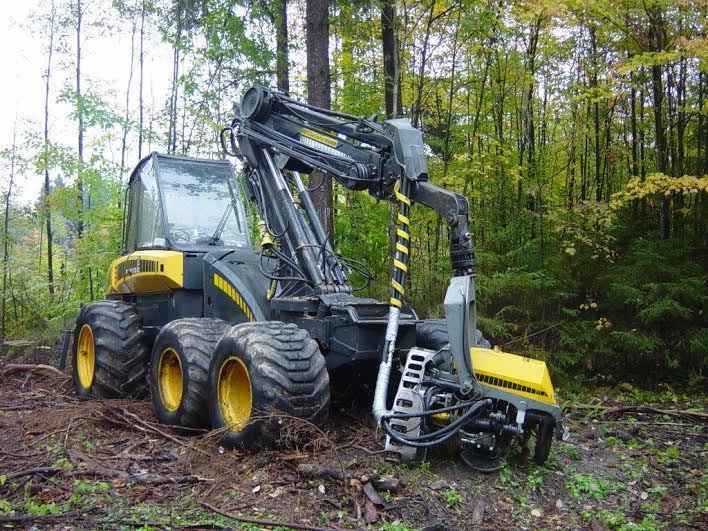 2006 Ponsse Ergo Harvester with a C-4 Crane and H-7 Head. This equipment has a Mercedes Benz engine, runs and starts good, strong hydraulics and drive, tight boom and head, resealed pumps, boom chains, feed motors, updated delimbing knives, updated roll arms, most cylinders replaced, Taimi live swivels, LED lights, bogies and axles are in good order, pre-heat system, computer and measuring system, 710 tires, tracks like new @ 90%, heat, A/C, and lights. Regular service and oil changes. Seller is open to reasonable offers and trades. Contact Aaron @ Red Pine Equipment 218-720-0933. Machine is located in Northcentral USA.